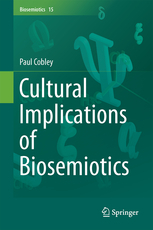 This is the first book to consider the major implications for culture of the new science of biosemiotics. The volume is mainly aimed at an audience outside biosemiotics and semiotics, in the humanities and social sciences principally, who will welcome elucidation of the possible benefits to their subject area from a relatively new field. The book is therefore devoted to illuminating the extent to which biosemiotics constitutes an ‘epistemological break’ with ‘modern’ modes of conceptualizing culture. It shows biosemiotics to be a significant departure from those modes of thought that neglect to acknowledge continuity across nature, modes which install culture and the vicissitudes of the polis at the centre of their deliberations. The volume exposes the untenability of the ‘culture/nature’ division, presenting a challenge to the many approaches that can only produce an understanding of culture as a realm autonomous and divorced from nature.